" A] mysterious work of metafiction... dizzying, arresting and defiantly bold." Amrapali Anna Singh is an historian and analyst capable of discerning the most cryptic and trivial details from audio recordings. 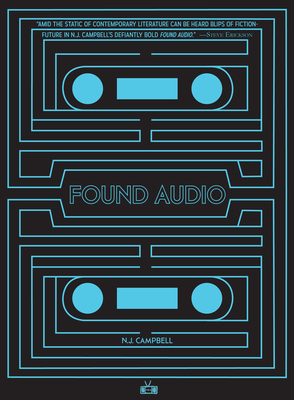 One day, a mysterious man appears at her office in Dutch Harbor, Alaska, having traveled a great distance to bring her three Type IV audio cassettes that bear the stamp of a library in Buenos Aires that may or may not exist. On the cassettes is the deposition of an adventure journalist and his obsessive pursuit of an amorphous, legendary, and puzzling "City of Dreams." Spanning decades, his quest leads him from a snake-hunter in the Louisiana bayou to the walled city of Kowloon on the eve of its destruction, from the Singing Dunes of Mongolia to a chess tournament in Istanbul. The deposition also begs the question: Who is making the recording, and why? Despite being explicitly instructed not to, curiosity gets the better of Singh and she mails a transcription of the cassettes with her analysis to an acquaintance before vanishing. The man who bore the cassettes, too, has disappeared. The journalist was unnamed. Here--for the first time--is the complete archival manuscript of the mysterious recordings accompanied by Singh's analysis. N.J. Campbell was born in the Midwest. He has won the Little Tokyo Short Story Contest, received accolades from the California State Legislature, and has been anthologized in the collection American Fiction from New Rivers Press. Found Audio is his first novel.